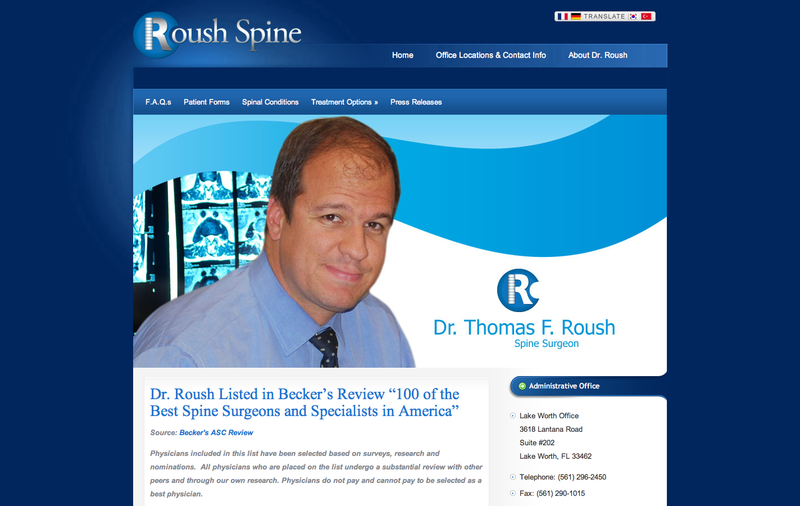 Thomas F. Roush, MD (Roush Spine, Lake Worth, Fla.) is a world renown spine surgeon in Florida. 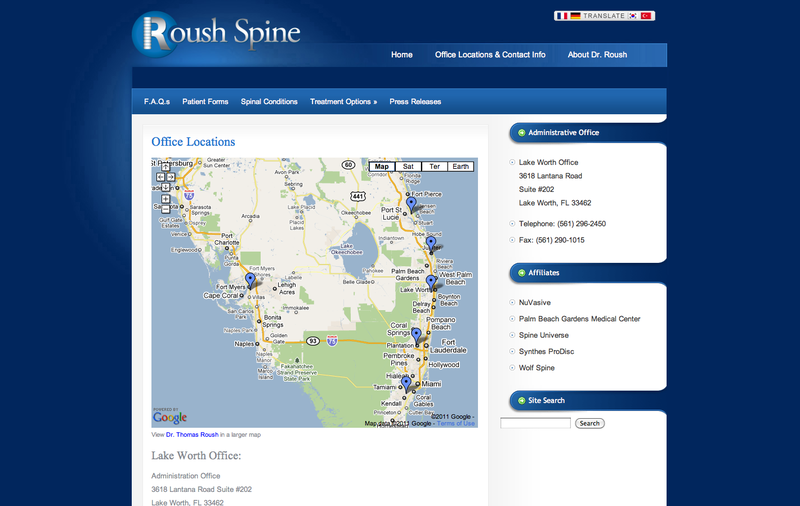 His practice needed a site that was straight forward, distributed company information quickly and was easy to update. It also needed to introduce potential patients to a medical field that can be daunting as patients are thrown into it after a catastrophic event. 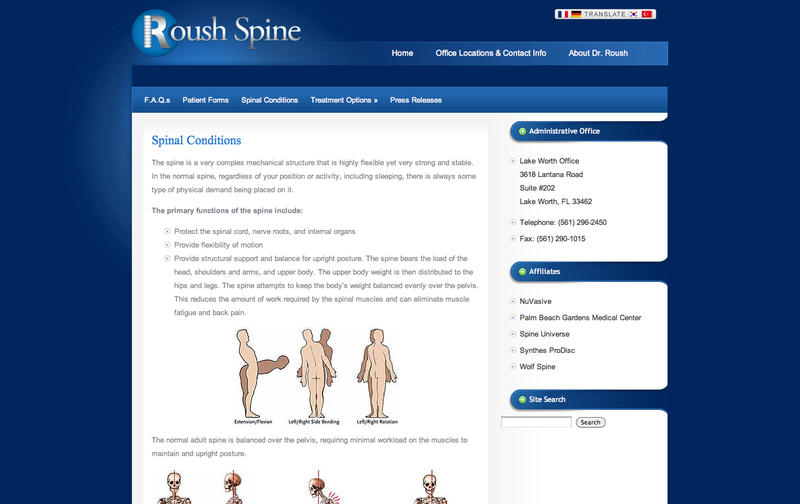 Roushspine.com has become a valuable resource for both the practice and the patients.